Happy Birthday Kyungsoo~♥. . Wallpaper and background images in the D.O club tagged: 2012 wonderful d.o kyungsoo. 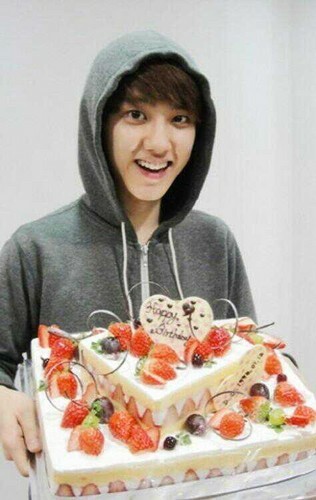 This D.O photo might contain tutti frutti, torta a strati glassata, glassato la torta di strato, and cupcake.